I was born on the island of Borneo. 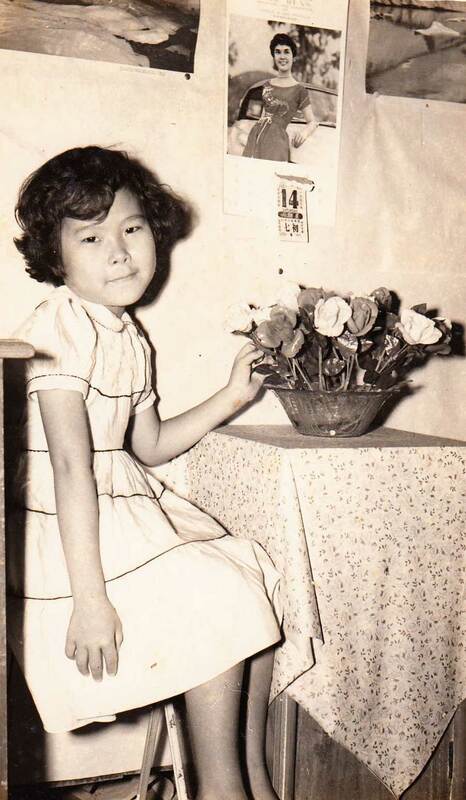 My parents were from China, my first language was Chinese and I was sent to an English school when I was twelve. I came to Australia in 1969 as a student, and have enjoyed a long professional life as an accountant. My grandmother was a gifted raconteur and, without knowing it at the time, I was appointed the guardian of her stories when I was a small child. In 2004 I embarked on writing them down. But soon I realised that this endeavour, which seemed simple, would be a huge challenge. Between 2006 to 2009 I was constantly travelling overseas to help care for my elderly father. One of my siblings told me my writing would only hurt the family. This, pressure from my work and the illness of my father, meant that I withdrew. But in 2010, after my father died, I started writing again, this time through the eyes of a young girl like the one who tells Stories on the Walls. I thought that in this way the stories were mine to tell. After the Japanese occupation ended, people moved back to the coast from the interior where they had fled. They needed to look for work. On the beach lay mangled puffed-up bodies in the remnants of clothes, soaked abandoned packs and broken weapons. In the town centre Australian soldiers like walking skeletons were rummaging in heaps of rubbish, scrabbling for food. My grandmother, my Poh-Poh, shared some of her meagre stock with them. She remembers a fair-haired pilot flying his plane low enough to drop bundles of pamphlets announcing the end of the War. Along the main street of Sandakan, the shop-fronts were partitioned into smaller businesses. Behind the street, ramshackle houses rose like stacked boxes, sub-divided into places where people could shelter. Most backyards were knee-deep in refuse, shredded rags, scraps of rusted metal and broken enamel pots half-filled with mould, festering under the hot sun. Weeds had crept up everywhere but as they were cut away we knew another Wet season would soon descend and everything would be smothered in green again. Every survivor needed to begin afresh. The smashed machines, the once-valuable ships now broken, were best forgotten. As my family settled into a makeshift dwelling, they could hear the rustle of wind through the broken thatch of the roof and see how it had ripped the threadbare canvas of the walls. Outside the waves frothed on the surface of the grey sea and the smell of rotting fish seemed to advance down the dirt road, warning that a storm was coming. On a nearby balcony someone crooned a melody about the eye of cyclones, how out of clear skies could rise a towering thunderstorm. My maternal grandfather and my father had lost everything during the War. But they were still more fortunate than many others. Throughout the years of strife, my grandmother had exchanged her jewellery for cassava, an edible tuberous root rich in starch but poor in nutrients, and cooked it as a substitute for rice. This monotonous diet caused severe stomach bloating. But it kept the family alive while others were starving to death. Before the occupation my grandfather had been lucky, finding a job with the British Timber Company. My father followed him and was given occasional odd jobs in the lumber camp. My grandfather would tell us stories of his first job as a young man in Borneo, when he travelled deep into the thick jungles to check the growth of new timber before the loggers moved in. Incessant rain had become torrents down the mountainsides, turning every path to marshland. Rivers would overflow their banks, driving snakes and scorpions into their camps, while big bedraggled rats scurried through the ceilings. Steamy heavy air hung over the swamps as the workers tried to fend off insects by covering their faces with cloths. But mosquitoes and flies still attacked in droves, and the men’s faces, necks and hands were soon covered with bites which became itching, burning welts leading to dysentery and fever.